Tony Agnello was born in Depot Harbour in 1936. As a child he was active and enjoyed time outdoors playing ball and fishing. He moved to Etobicoke when he was 16 years old and worked with the Parks and Recreation Department. He married Vera in the Depot Harbour Catholic Church, the last wedding at the church before it closed permanently. In 1968 Tony met Kei Tsumura , Chief Karate Instructor of Canada. A bond formed and Tony was hooked on karate. He saw it as an opportunity to be involved with his sons Anthony and Warren. 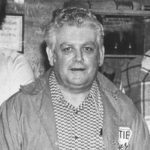 He believed so strongly in the value of karate, that in 1972 he started the Shito Ryu Itosu Centre for Martial Arts training in Parry Sound and commuted from Etobicoke to Parry Sound to instruct karate on a weekly basis. In 1975 Tony and Vera moved back to Parry Sound and bought a variety store on Horseshoe Lake and operated it along with a scuba diving business until he was hired by the Parry Sound Public Utilities Commission in 1977. Eight short years, after Tony began karate training five or six nights a week, he received his Shodan, balck belt in 1976. 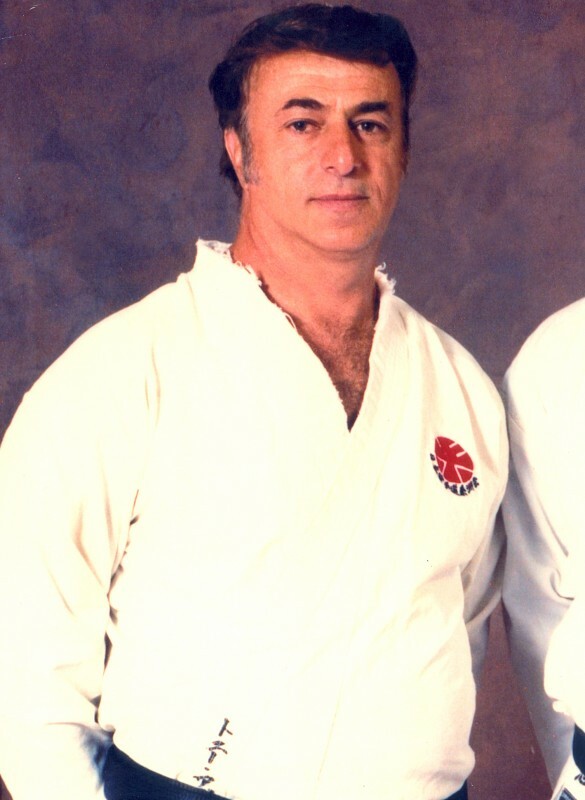 Through karate, Sensei Agnello provided a pathway to friendship, good health, self discipline, self esteem and self confidence for hundreds of youth and adults in the Parry Sound area. He reached out to those who were disadvantaged and discouraged and would often waive the registration particularly for young children in less fortunate circumstances. His teaching of physical skills was always secondary to the teaching of values related to self respect, respect for others, generosity and humility. Sensei Agnello’s genuine warmth, welcoming sense of humour, no nonsense approach and: generous spirit were hallmarks that earned him great respect. He possessed the ability to always get the best out of his students. Many achieved at levels they thought unrealistic if not impossible. His expectations were high. 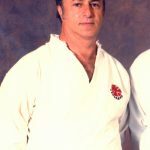 Due to Tony’s total commitment and perseverance karate grew in Parry Sound Area with satellite clubs established in Humphrey, Rosseau, Britt, Pointe Au Baril and Bala. Tony made sure all students had the opportunity to compete in rankings and tournaments. At one time the Parry Sound Karate Club had the most black belts to total membership ratio of any Club in Canada. 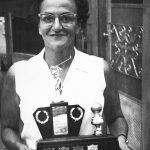 The Parry Sound Club hosted many tournaments and rankings in Parry Sound with Vera providing meals to the town competitors. She was a tower of strength and support for Tony and the Karate Club. The Parry Sound Karate Club was recognized in Japan as one of the best in Canada. Japan’s top Karate Sensei, Master Ryusho Sakagami and his son Sadaaki Sakagami from Osaka made it a point to visit the Parry Sound Club and pay tribute to Sensei Agnello. Master Sakagami presented Sensei Agnello with two priceless hand drawn certificates in recognition of his great work. In response, Sensei Agnello arranged a special ceremony in which Chief Flora Tabobondung of Parry Island presented Master Sakagami with a native headdress giving him the Ojibway name, “Ashwasegai”, meaning, “from the rising sun to the setting sun”. It was a very proud and humbling moment for the visiting dignitary from Japan who proudly acknowledged this honour at every formal ceremony he attended until his death. as the pride he felt when his students progressed and achieved higher goals. He was especially proud of his sons Anthony and Warren when they received their black belts. He was proud when four of seven competitors chosen to represent Canada in competition in Japan were from Parry Sound. As it turned out Mitch Paus and Mark Benoit were the only two able to participate from the Parry Sound Club. He was proud of Karl Murch who made history by becoming the youngest Shodan-Ho in Canada. He was proud of Debbie Briggs his first female Shodan in Parry Sound. He was proud of John Rice the first native student to receive his black belt. He was proud of Diane Smith a student with spina bifida when she went from an orange belt to a green belt. He was proud to instruct Matthew Campbell, a totally blind student. In addition to being a top karate Sensei in Canada, Tony was also an accomplished softball pitcher. 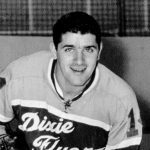 As a teenager, he pitched in the Etobicoke men’s league winning many tournaments and awards. he was league MVP in 1965 when his team won the City League Championship. He remained a force on the mound pitching and coaching the parry Sound Old-Timers Softball Team for more than twenty years. He returned from competitive softball in 1997 at age 61. 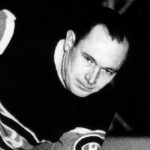 He pitched in eleven consecutive World Old-timers Tournaments in North Bay, and was responsible for much of the team’s success. Whether Tony was on the ball diamond or the Dojo he was the ultimate competitor, diplomatic and humble about his success. Tony Agnello was also a dedicated and valued school trustee for six years. He loved Ice fishing spending countless hours often catching his limit. Tony was appointed Parry Sound Water Works Superintendent in 1984. His concern for the future safety of the water supply in Parry Sound was instrumental in building a state of the art water membrane filtration plant. It was competed in 2001 and was named the Tony Agnello Membrane Water Filtration Plant in recognition of his vision, dedication and perseverance. 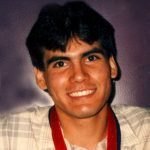 Tony passed away on September 16, 2005 after a courageous 20 year battle with cancer. He knew he was to be inducted into the Bobby Orr Hall of Fame and was deeply honoured. Tony Agnello left a legacy of loyalty, integrity, fantastic community contributions and zest for life. His love for Vera, Anthony and Warren was unconditional. He brought honour and distinction to his family and to Parry Sound. Parry Sound is a better place because of his initiatives and dedication. Tony Angello’s induction into the Bobby Orr Hall of Fame is to be celebrated and serves as a permanent and deserving testament to the quality of life he so strongly believed in.